Sometimes I think about my past failures and I get sad, no matter how inconsequential they seem to be. That time I forgot the lines to a poem onstage and had to read it from my cell phone. That time when no one clapped. Those other times when no one clapped. That time I poured my heart out and then noticed a student sleeping at her desk. That time I made a collect call out of curiosity and had to pay my friend’s mother fifty cents. That time I failed Spanish. That time I failed Korean. That time I failed French. That time I failed ASL. It is a deep hurt, igniting several other pangs of regret and remorse and embarrassment that come rushing up all at once. And it scares me to know that I am capable of feeling so much all at once. My heart drops into the pit of my stomach when I remember the time I called my mother “ugly.” Fifteen years later and I still want to cry. My heart beats faster and my chest feels like it’s going to implode. My throat closes up. Every part of my body hurts. I think about the time she got me a present I didn’t like and how I left it in the backseat of her car despite her constant reminders. I find it hard to breathe. I can feel it up in my throat and squirming in my bottom jaw. My stomach hurts. I am dizzy. But I wrap my arms around my chest and suppress anything trying to jump out. When my grandma talks about wanting to die, when she confronts me with the brutal reality of the inevitable, I don’t react. I am unaffected. I am buttering my toast. I am detached because it’s the only way to keep my spine straight and my feet on the floor. I will not want to go to her funeral. I will not want to visit her grave. I will want to stay as far away as possible. Nothing in this world scares me more than the fragility of human life. I expel pain at insignificant moments. To the dog shelter commercial, you may have my tears. You may have my quivering lip and wobbling shoulders. You may have my broken heart, my sobbing, my short gasps of breath. Because I do not want to cry in my grandma’s absence. Because I am afraid of what will pour out of me. I am afraid of running out of tears and out of breath and out of feeling. I am afraid of being empty. I don’t think my body will be able to handle it. I don’t know how I’ll find the strength to open my eyes and rise to my feet every morning. I imagine this to be a concentrated version of my entire life. First I feel lost. And then I feel angry and upset with myself and with the world. And every bad thought and feeling that has ever passed through me comes crashing down all at once. And it progressively gets harder to breathe. I have a climactic existential crisis before eventually giving up. I briefly feel relieved. And then nothing at all. And I settle into a comfortable numbness. At my best, I am dramatic, self-serving, and ruthless. At my worst, I am vacant and underwhelming. The spectrum of my personality is built like a looping roller coaster where everyone, including myself, tends to feel a little nauseated. I am crippled by anxiety and depression; I have been all my life. And I have learned to suffer quietly, letting opportunities pass me by on every occasion because I don’t feel capable. This is how I live my life . . . with everything just out of arm’s reach. This is why I’ve been kicked out of school seven times. This is why I still can’t drive. This is why my group of friends could be counted on an amputated hand. This is why my answer will always be no. I am perpetually on the cusp of greatness. But emotional instability and a deep-rooted fear of failure keep me tiptoeing through life like every task is an intricate puzzle made of broken glass. To be perfectly honest, I am the most terrified person you will ever meet. I am afraid of vulnerability, of inadequacy, of embarrassment, of imperfection, of death. Of life, for that matter. But I’m figuring it out one step at a time. My first attempt at facing my fears started at the hands of my mother, whose love of language inspired me to express myself in ways I’d never imagined. My mother is Japanese, and when I was little, she used to teach me words and phrases, but one I still think of often is kintsukuroi, meaning “to repair with gold.” It’s the art of repairing pottery with gold or silver lacquer and understanding that the piece is more beautiful for having been broken. That is essentially what the Leonard Cohen poem (in the form of song lyrics) from “Anthem” means to me. My response poem, “Perfect,” came from a dark place. From desperation and uncontrollable rage. And while I may never bloom into a self-assured optimist, the experience of connecting to Cohen’s words, responding with my own, and performing them live was transformative to say the least. (And far more cathartic than the empty promises of Prozac.) I spent years striving for unattainable ideas of perfection, but I view this poem as a profoundly important reminder that perfection is beside the point. We are all inherently flawed. There will always be a crack in everything. But that is where you find the light. That is where the raw honesty and the beauty of vulnerability lie. with outstretched limbs like a sloth in slow motion. Do I need to force-feed you discipline ’til you finally concede? I cook and I clean and I don’t stop ’til the soles of my feet bleed. in a world where degrees and PhDs impede the need for poetry. No wonder you’ve never attracted any males. You can’t eat sweets, Maia. You’re ruining your teeth like you’re ruining your life. I don’t need sugar, Maia. and doesn’t come out the other. You’ll never be up here, Maia. You can’t be trash, Maia. But you can’t be a rebel, Maia. you need to do it with a smile on your less-than-average face. Why don’t you know how to smile? That meal doesn’t pay for itself. I don’t care if it’s ideal, stop telling me how you feel. You’ll never grow to be tall. which will soon come to an end if you don’t put down that pen. Don’t give me that look, Maia. I’m just trying to love you. 1. Have you ever felt like a loser? When? 2. How do you deal with your failures and mistakes? 3. Tell the story of a time you failed and picked yourself up. 4. Do you sabotage yourself by not finishing what you started or by not trying your best? 1. Pick a line, a word, a phrase, or an image from Maia’s poem “Perfect” that made you feel understood or made you feel worse about yourself. Talk back to it. Yell. Convince. Set your timer for ten minutes and keep your hand moving. Write a poem using that line, word, phrase, or image that inspired you. 2. Write about something you haven’t finished and how finishing it might change your life. Diane Luby Lane is the founder and executive director of Get Lit–Words Ignite, a Los Angeles-based arts education nonprofit that is transforming the landscape of teen literacy by empowering new generations in literature, self-expression, and performing arts. She is also the founder of the Get Lit Players, an award-winning classic teen poetry troupe that has collaborated with the United Nations, Dove, and Women in the World, and toured at the Kennedy Center, Lincoln Center, and the White House, and more, igniting communities across the globe with art and social consciousness. Lane is also the founding producer of Get Lit's Classic Slam, the largest youth classic poetry festival in the world. Lane’s Lit Kit, a standards based, in-school curriculum, has been adopted by schools throughout the U.S. and internationally. 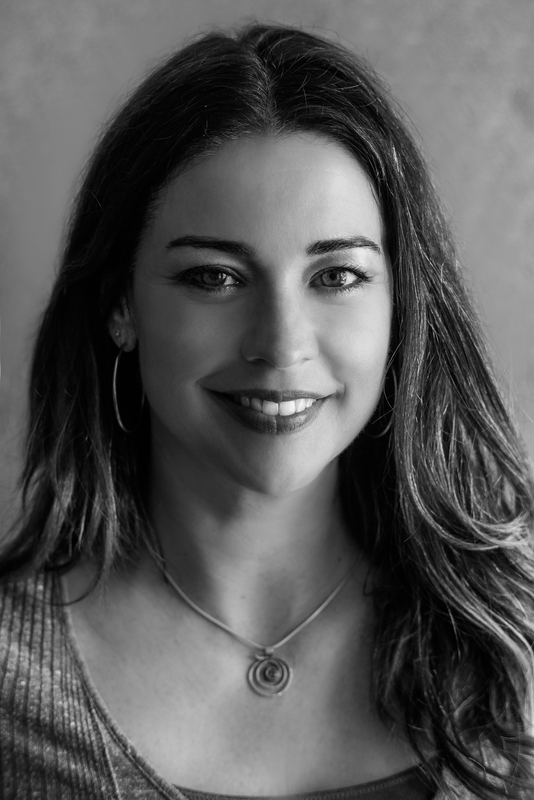 She is the author of Words of Women (Samuel French) as well as the playwright and star of the critically acclaimed one-woman show Deep Sea Diving (also known as Born Feet First) which toured with iconic Chicano poet and author Jimmy Santiago Baca. Lane is a graduate of the Annenberg Foundation’s Alchemy + Leadership Program, a TedX speaker, a Southern California Leadership Network Fellow, a member of Mayor Eric Garcetti’s Poet Laureate Committee, and a recipient of the Presidential Lifetime Service Award. She lives in Los Angeles with her husband and two children. A coveted stash of poems written by the slam poetry troupe the Get Lit Players, part of Lane’s “Get Lit-Words Ignite” Common Core–aligned English and Performing Arts curriculum program. Each of the 20 short chapters profiles a member poet (the last features Lane) through eloquently written essays that recount personal struggles, with an emphasis on the transformative power of poetry. The poets each explain why they chose to claim a particular piece (selected from poets who range from the canonical to the radical and contemporary, like Saul Williams and Marge Piercy) and provide a response poem. For the teacher in us all, there are writing prompts and suggested verses for further reading, organized by teen-centered themes such as “Race, Urban Poverty, Life Force” and “Owning Your Own Worth, Keeping an Open Heart.” The final chapter outlines a detailed process of how to create a poetry group, with a list of “200 Poems To Crack You Open.” VERDICT A multiple copy must-have. Use as a tool for collection development for tried-and-true poetry that speaks to teens. Meet the poets of the heart. Get up close to the sayers of the scars. Listen carefully to these weavers of the light (you get the light by sayin' it the way it is, about where you are really comin' from). Look inside and you'll see how it happens—about being bullied, about your body, how you feel about it, about your parents with all the hurt inside blowin' out of them and you just standing there. And I am just gettin' started. Start with these brave soul searchers and spirit finders. Call it spirit, how do you touch base with your core self? Touch base now. Here. Hold this book and books that got these pioneering torches lit—Bukowski, Francisco X. Alarcón, Adrienne Rich, Sonia Sanchez. See why I am sayin'? There is no book like this one, maybe one—June Jordan's Poetry for the People. Here are the new people. Talking about our new time. It is a critical time. Listen in. Learn it up. Meet, get close, get with it, get lit. Poetry-lovers, cool cats, friends of youth, teachers, secret writers, anyone suffering any kind of gloom or remorse or longing for your own voice to be stronger... stand in line to buy this book! 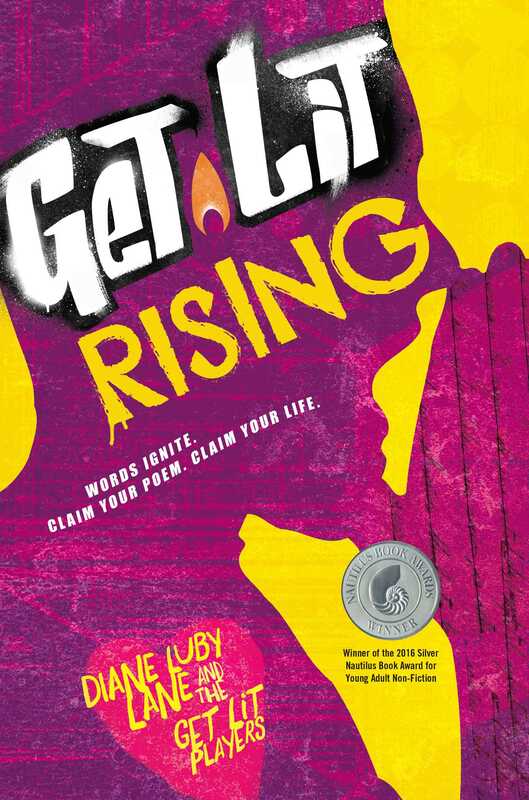 Get Lit Rising by Diane Luby Lane and her gorgeous Get Lit Players is the most passionate, brilliant testament to poetry and its wide radiance that I have seen in years. This is a book borne from the hearts, souls, and minds of many, an encouragement toward true connection and modeling on what you respect... a shining lamp to light your way. Get Lit Rising is more than a poetry anthology. It is an astonishing window into what it means to be a young person in America right now. As such, it is also a mirror, and I can't think of a more meaningful reading experience. The power of Get Lit Players is not just the poems they've mastered from Walt Whitman, Langston Hughes, Pablo Neruda, but their own stories, images, fears, thoughts, visions, and hopes. How they've used singular unique personas and combined them with others to create a dance of words, emotions, ideas.... This is transformative the way poetry should be—from the soul of a person to the soul of the world. Personal essays and poems from 19 teenage poets, members of a poetry troupe connected with the Get Lit–Words Ignite literacy organization, are featured in this moving anthology. The young poets discuss their lives in candid essays and identify classic poems (from the likes of Charles Bukowski, Langston Hughes, and Marge Piercy) that they have found inspiring. The poets then follow the poems they have selected with their own “response” poems, which frequently touch on gender identity, mental health, body image, and violence. After each entry, Lane, who founded Get Lit, provides questions for readers to consider and prompts to jump-start their writing (“Write about a fight you’re fighting within yourself”). Lane and her young collaborators present an inspiring example of how poetry in the present communicates with that of the past. Ages 12–up. Get Lit Rising is a moving testament to the deep currents of creativity and compassion that flow in the souls of all young people. Too often these currents are silted up by lack of opportunity at home and school. This marvelous bounty of personal stories, inspired poems, and practical advice reveals (again) how heartfelt experience of the arts in education can transform, ennoble, and even save young lives. It shows too how helping young people to engage more deeply with the world within them opens them up to more profound relationships with those around them: how poetry and passion can nurture compassion. A beautiful, inspiring and important book for young people everywhere and for their parents and teachers too. The Get Lit-Words Ignite curriculum engages students through life experience, classic poems, and writing. Students write about their lives, choose a classic or well-known poem, and end by writing a poem of their own creation. This approach gives student writers an outlet for expression, helping them to cope and understand life’s heavier issues: poverty, racism, bigotry, mental illness, addiction, and more. Many teen readers and young adults will relate to this material. The students acknowledge that the program has provided them with a sense of purpose and belonging, an emotional outlet, people with which to bond, understanding of others, and responses that are not judgmental. Each section begins with a group poem and includes writing prompts. Brief information about the young poets along with a small photo of each is given, and a bibliography of the classic poems contains ideas for their use rounds out the volume. This just isn’t a book. It's a movement. It’s a revolution. By giving these young artists a voice, Get Lit is giving these artists the power of their lives. It captures something very special. It captures the creative spark. It gives one a window not only to the soul of a poet by bringing a well known artist's words to the pages, but it elicits our own creativity as we journey with these young poets and their own artistic inspirations with their own powerful phrase. It awakes in the reader the joy and power of our words. We sometimes forget the power of a word. A word can cut out our heart. A word can unite a generation. A word can save a life. Now, the same power of the spoken word is given to any reader who picks up this book. After I read [Get Lit Rising], I recognized the power of my words to ignite real change. I'm left breathless by the revelation and daring in these pages—voices lifted in joy, in defiance and revolt, voices raising insistent questions, offering answers, searching relentlessly. This is the drumbeat of witnesses in the midst of the lives, spending their days out loud, relishing the muscle of language and its remarkable ability to exact change. These extraordinary young people introduce you to the life you wish you had led—and, better yet, they convince you that there is still time to live it. The Get Lit Players are changing the landscape of literacy in Los Angeles and providing a model for the rest of the nation. Through the power of art, they are transforming the lives of young people and creating a pathway for opportunity. 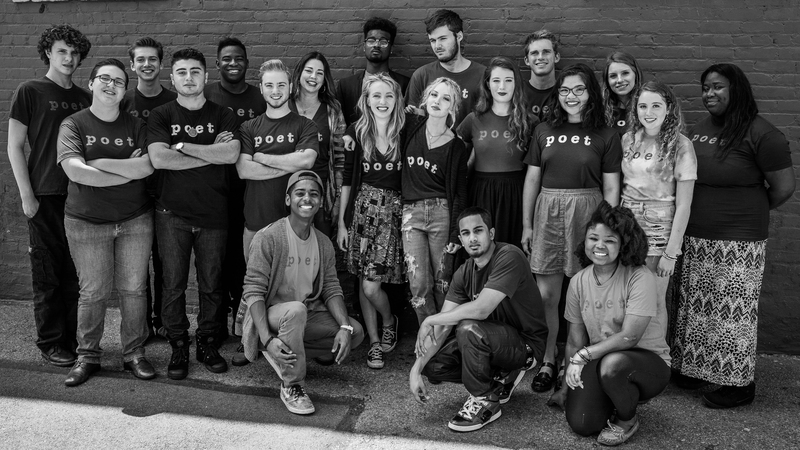 Get Lit is one of the premier spoken word organizations in the country for young people. The words in this book are fearless, powerful, and moving. These are young poets in conversation with history, while writing their own. This is poetry for the real world. Diane Luby Lane's Get Lit program is the gold standard for bringing poetry into the lives of young people in schools across the country. Get Lit combines learning about poetry written by master poets with the students’ own creative inner selves. Often students reach far beyond what they imagine they can achieve. Bravo to Get Lit! This book, this fierce and hungry and gorgeous book, this good weapon in the good fight, this monster under the king’s bed. No other book allows you to meet the poets, the youth, the creators of our future, like this one. Not only are we being let in to the art of these young writers, but we are also learning their backstories, which are as poetic and stunning as the poems themselves. This anthology creates constant conversation and dialogue across all borders, and I know few things more healing and necessary.